Harley Quinn has a big, bright future in the DC universe, it just won't be in The Suicide Squad. We recently learned that James Gunn is not only writing, but will direct a new movie in the franchise that started back in 2016 with David Ayer's critically lambasted, but very successful take on the bad guys trying to do some good. But instead of a sequel, Gunn is taking things in an entirely different direction, leaving Margot Robbie's Harley Quinn behind. According to a new report that takes a deeper look at the state of DC Films, there are some tidbits about Suicide Squad 2, which is now being called The Suicide Squad. It will not directly tie into the previous movie and, what's most surprising, the first movie's major breakout Harley Quinn is going to sit this one out. That also makes it a safe bet that Jared Leto's Joker will be MIA. With a new cast of characters coming on board, it seems likely that Will Smith's Deadshot, and the rest of the previous team, are going to be on the bench as well. While that may be surprising on some level, on a few others, it makes a great deal of sense. DC Films is clearly trying to move in a new direction following Justice League. James Gunn, despite being fired from Guardians of the Galaxy Vol. 3 by Disney over a series of old, controversial tweets, is a visionary. He has the ability to craft this franchise for the future, as opposed to making the best of a kind of bad situation. Yes, the first movie was successful financially, but reception was mixed at very best. Beyond that, Margot Robbie is a very in-demand actress. 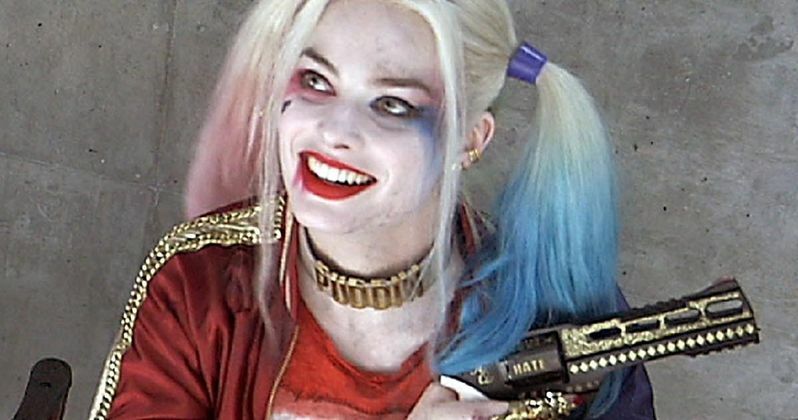 She's already filming the female-driven Birds of Prey, which will see her back as Harley Quinn once more. This report states that the Joker and Harley Quinn team-up movie is dead in the water, but there have been reports that Gotham City Sirens is still possibly on the table and that Warner Bros. is hoping this could lead to a Harley trilogy. With that in mind, that wouldn't leave a lot of time for her to suit back up alongside the rest of the Suicide Squad. The one person that would make sense to bring back would be Viola Davis as Amanda Waller, as she's the one in control of the superteam comprised entirely of criminals. Whether she comes back or not, it's very clear this is going to be a very different take on the DC Comics title and James Gunn wants to insert his own vision in this universe. Now the real question; can he get his old Guardians pal Dave Bautista to play King Shark? The Suicide Squad is set to hit theaters on August 6, 2021. This news was first reported by Forbes.